The MINI Cooper has a few changes for the 2014 model year. The hatchback version has been redesigned and is a little larger than previous versions. The convertible will remain the same, however. Other features for 2014 are an interior refresh, adaptive suspension and two new engines. Another mentionable upgrade is the addition of a touchscreen display with a traffic sign memory system that works in concert with the GPS. So not only is the MINI Cooper cute, it is also smart. Very smart. The car just looks fun. Most Cooper owners will agree, and since it comes in so many variants, the fun factor can be tuned to your personality and bank account. 2) The MINI Cooper gets great gas mileage! Average mileage for the 1.5-liter base engine is 30/41 mpg. With that kind of mileage and an 11.6 gallon tank, miles between fill ups can carry you a long way economically. The mpg for the 1.6-liter is a bit lower at 28/35 mpg, which is still very good. The 2.0-liter variant brings the mileage in at 23/37 mpg. That is still not bad, for a car that is so much fun. In 2013 Kiplinger (2014) placed the MINI Cooper in the top 12 of automobiles with excellent resale value. 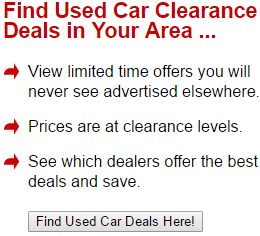 This is gives you the assurance that your car will retain its value, long after you put the first 10,000 miles on it. The MINI Cooper hatchback comes in the base and S models, as does the convertible. The John Cooper Works model is also available for those who want a sportier model and it can be purchased in either a hardtop or soft-top model. The MINI Cooper tracks as if it were on rails and has often been compared to an adult, street legal go-cart. It will eat up mountain roads and twisties, taking the curves with aplomb, leaving lesser vehicles in your rearview mirror. It is a hot-blooded sports car in a small package. It has enough power in the base configuration to run from 0-60 in 7.3 seconds with the automatic, and 7.4 seconds with the six-speed manual. Not too shabby for a little car, with a 1.6 liter turbo charged engine, and even with that kind of acceleration, the MINI Cooper is still able to deliver from 31 to 40 mpg. The MINI Cooper comes with features that are options on many other vehicles. Rears back up camera, and six speakers with speed sensitive volume control, Bluetooth data link and pre-wiring for a phone, are but a few of the features that would cost extra on other cars. The base engine in the 2014 MINI Cooper puts out 134 hp from a 1.6- liter, turbo charged 3-cylinder engine, which does not seem like much. However, with a curb weight of 2605 pounds it is enough to make this little car zippy. For those who want to push the envelope, the MINI Cooper S model comes with a 2.0-liter four cylinder, which puts out 189 hp that adds a new dimension to the driving experience of this little car. When configured as the John Cooper Works, the 1.6-liter power plant puts out an amazing 208 turbo charged horsepower for tire ripping fun. 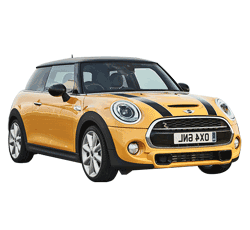 Many safety features are standard on the MINI Cooper, such as 4-wheel ABS, traction control, rear view camera, front and read head airbags, as well as many other well thought out features that would cost extra on other cars. There are many aftermarket parts available for the MINI Cooper, giving you the opportunity of making your car one of a kind. For many, this car may be too small. Its dimensions are diminutive with an overall width of 5ft. 8 inches and an overall length of 12 ft. 7.1 inches. Few cars on the road today are smaller. The MINI Cooper is after all, a BMW product. Be prepared to pay more for regular maintenance on this car. One of the many complaints of current MINI Cooper owners is the service provided by the dealers. The ride on the MINI Cooper tends to be stiff. Especially in the S and John Cooper works versions. However, this stiffness equates to excellent handling, which sets this apart from many other cars. In Summation, if you are looking for a car that gets high gas mileage, which does not give up the performance and acceleration of a sports car, the MINI Cooper is worth a look. A test drive at your local dealer will quickly help you determine if this car is the right car for you. The number of available models makes the MINI Cooper even more desirable, as it can be purchased as a hard top or a convertible, with a manual or automatic transmission in a rainbow of colors. Take a trip to your local dealer and try one on for size. You will be glad that you did.